New data shows 26 percent of social media managers say human and financial resources are their biggest roadblocks. And by that, of course, they mean there aren’t enough of either. A total of 344 social media managers responded to the survey conducted by researchers from The Manifest, a site launched by Clutch. Human and financial resources were identified as the top challenges. 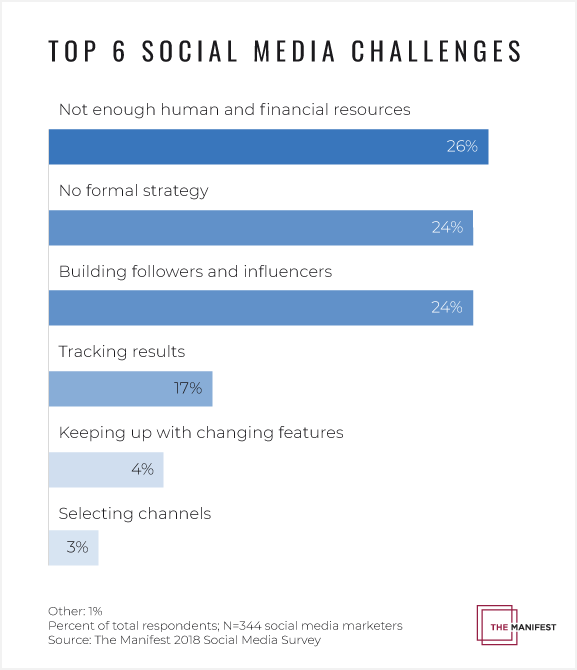 Other challenges included lacking a formal strategy (24 percent) and inability to build a following (24 percent). Tracking results was also identified as a significant challenge by 17 percent of those surveyed. Previous research showed that 52 percent of small businesses say social media has helped increase their business. Consider the results of this survey and address the top challenge facing social media managers. Invest more money into social marketing. But don’t just throw more money at a situation and expect it to work. Don’t ignore the other challenges, namely the lack of a plan. Before spending money, determine how it will be spent — and how you will know what your returns are? How can you track results? If you can’t invest more in social media, be smart with the money being invested there now. Avoid the challenges faced by so many social media pros. Don’t create strategies requiring too many people or too much money. Those costs could counter the benefits. If your social media strategy has worked until now, consider subtle changes. 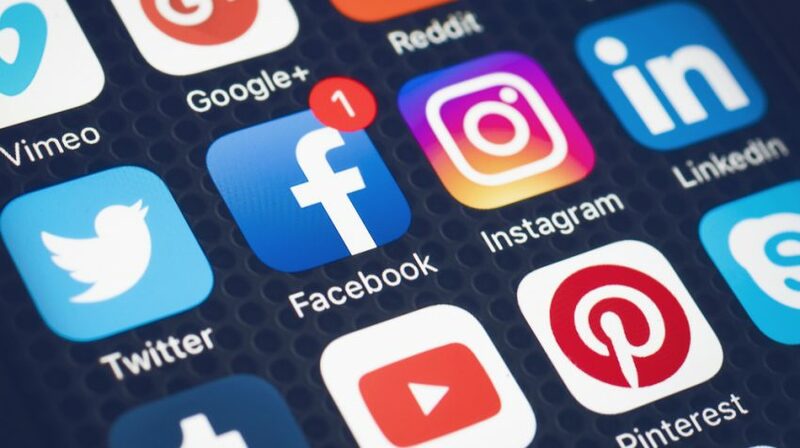 However, if you think there are more sales to be made by a heavier social media presence, consider the results of this survey. It’s going to take money and people to get it done.